Your home is your castle. It’s your retreat. It protects you and your family from the outside world. That’s why keeping your home safe and ideally energy efficient is so important. Updating your insulation helps you do both. New insulation removes old, potentially hazardous products from your walls. It also boosts energy efficiency, keeping you cool in the summer and warm in the winter for less money. But because your home is your castle, it’s important to not simply find an Austin attic insulation company but to find a good company. After all, you wouldn’t trust just anyone with caring for your family. We believe a strong vetting system protects all homeowners from potentially shady contractors. As installation professionals ourselves, we’re primed with insider information that guarantees you’ll make the best decision the first time around. And we’re going to share our secrets with you now. 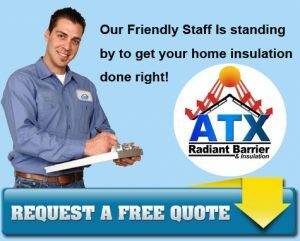 Here are five things to look for in a good Austin attic insulation company. Adding insulation isn’t a matter of guess work or shoving insulation in where you think it’s needed. If that were the case, then everyone would do it themselves. No, adding insulation is a science. In science, if you’re not assessing, you’re only guessing. And guesswork doesn’t save you money on energy bills. Look for contractors who know how to provide an energy audit. An energy audit includes several phases. It starts with a visual inspection of the home including the attic. After the visual inspection comes a series of tests. The blower door test is one of the most common tests. The contractor will place a fan in your doorway with the aim of depressurizing the inside of your home. Blower door tests help find the nooks and crannies where air leaks out of your home and causes your HVAC system to work overtime, racking up energy costs. Blower door tests help find the nooks and crannies where air leaks out of your home and causes your HVAC system to work overtime, racking up energy costs. Other tests examine the ductwork, humidity, insulation, and air infiltration in the home. Providing these tests isn’t only about identifying the right places for insulation. 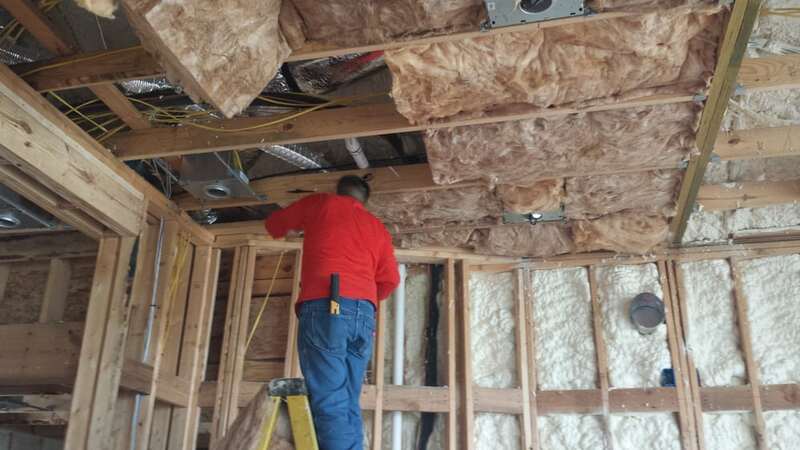 It demonstrates the Austin attic insulation installer’s competency and shows that they see the home not as individual parts but how your house works as a whole. Taking a holistic approach is the best way to not only make sure the job gets done, but it’s done in a way that improves your energy efficiency. There’s a lot of things you need to know about insulation. First, there are the four main types: fiberglass, cellulose, spray foam, and mineral wool. Each type has its merits as well as its downsides, and each is suited for a specific type of home and homeowner. It’s important for your contractor to not only be able to list different types of insulation, but to know the difference between them. If your installer doesn’t know the ins and outs of different types of insulation, you can’t be confident they’ll install the right insulation. Moreover, you can’t be sure they’ll install it correctly. We suggest doing your own research before meeting with a contractor to learn more about what’s right for your home. Doing so will involve you more in the process. But more importantly, it allows you to suss out the fly-by-night contractors who don’t prioritize product knowledge. Did you know you need a permit for installing insulation? While not everyone requires a permit for all building work, the city of Austin offers a Residential Express Permit for adding and replacing insulation.are also required for replacing windows and doors, adding or removing siding, and even tub and shower conversions. The Residential Express Permit is also required for replacing windows and doors, adding or removing siding, and even tub and shower conversions. A permit is easy to get. It’s a simple application form and processing takes 3 to 5 business days. You can even get it the same day if you visit the office in person. Your contractor should 1) know you need a permit and 2) be very familiar with the practice of applying for one. In fact, they should insist on getting a permit. Because getting caught without a permit could result in more than a fine. If you’re caught, the city could require the contractor to tear out the work, then apply for the permit, then do it again. Plus, your homeowners’ insurance may not cover any damage that occurs. If an accident happens or a mistake is made, the insurance company will ask for a permit. If you can’t give them one, then they’re in the right to reject your claim. If your contractor charges in, they may disturb the insulation and cause a hazardous situation for you and your family. Be sure to ask your contractor about asbestos and any other potential hazards before you hire them. They should provide an inspection to look for any roadblocks in your attic before agreeing to the project. Knowing what they’re up against before they start will ensure they’re capable of taking on the project. It also allows them to produce the most accurate estimate possible. Both of these work in your favor. Insulation isn’t highly technical. It’s also not highly-regulated or code-specific. But that doesn’t mean you want someone who specializes in basement remodeling to do your insulation. Someone who is intimately familiar with insulation will do more than a ‘good job’. They’ll know what to expect and understand the nuances of the task at hand. We’ve given you five valuable tools to find the right insulation specialist. Want to test our knowledge? Give us a call or request a quote today!